A group of drug runners/freedom fighters has kidnapped a busload of tourists in the Philippines and is threatening to kill them all if one of their partners is not released from prison and the government doesn't halt its anti-drug policies. To stop the criminals, a trio of specialist soldiers are called in. Even with all their training, will they be able to stop the terrorists when they begin killing hostages and turning loose their squads of attack midgets? 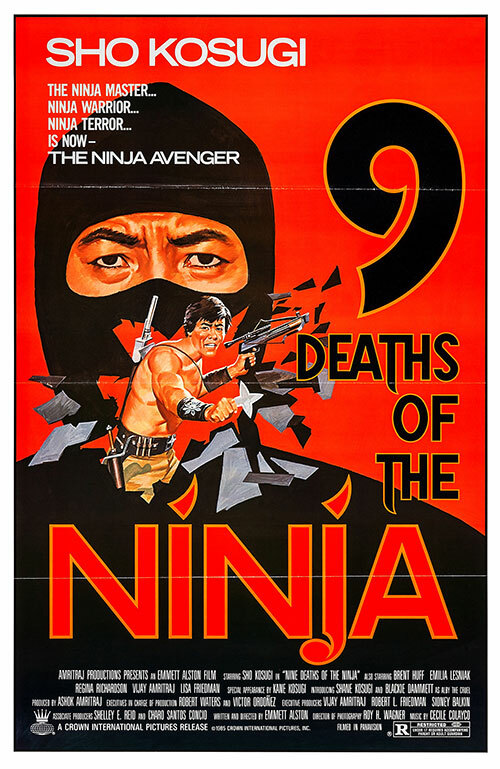 1 Response to "Nine Deaths of the Ninja (1985) Emmett Alston"
Thanks ! It seems to be as great as a Godfrey Ho movie !